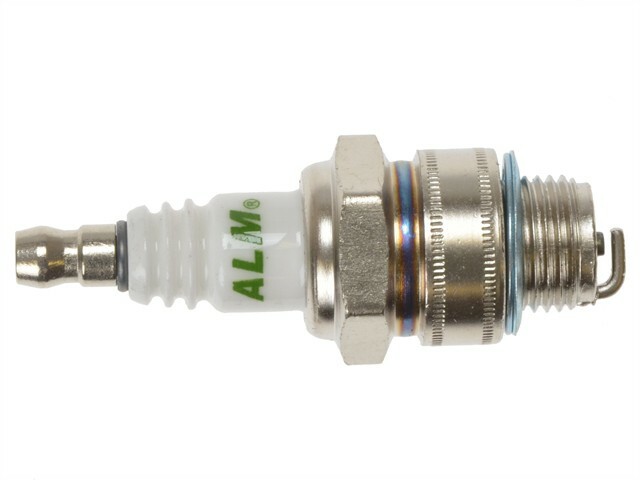 The ALM Manufacturing J17LM Spark Plug fits most lawnmowers and cultivators. Supersedes Plug Numbers: J8, J8J, CJ8, J8C. Compares to: AC Delco LM46, LM49, Autolite 258, 404, 456, 458, XST458, Bosch stk 7515, 7538, 7801, W12E, W45T3, W9ECO, WR11EO, Brisk J19, Champion 861, 868, 947, J8, J8C, J8J, J17LM, J19LM, QJ19LM, RJ19LM, Denso W9LM-US, W14LM-U, W9-U, W9LMUS, stk 6004, stk 6057, stk 6014, Eyquem 202CT, General Motors 5612975, 1559494, 5613283, Mega-Fire SE-19J, Motorcraft A7LM, A7CLM, A11LM, stk 98, stk 117, MTD 759-3338, Napa X507, Newstar GL3C, NGK 741, 1147, 3110, 3410, 3841, 4146, 4861, 4864, 5798, 6150, 7931, B2LM, B2-LM, B2LMY, BR2LM, B4LM, B4LM BL1, B4LMY BL1, B2, CS1, Prestolite 14-09-01, Splitfire SF045F, Torch GL2, GL3, GL4, Valley Forge 118, Workshop Essentials EX20.